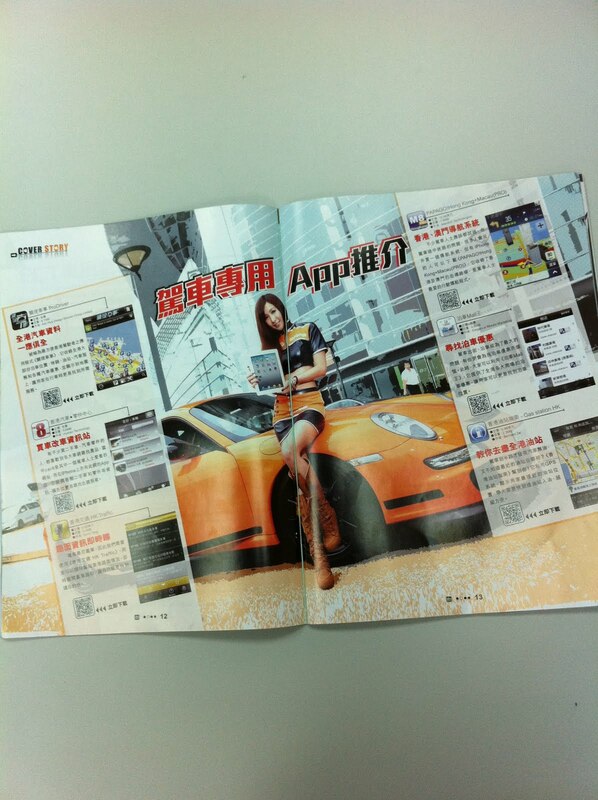 If you were wondering, like me, how the lady sitting on the sports car could be related to the iPhone scene, I can tell you: “Plenty!”. First of all, she introduced the readers to all the possible ways to charge an iPhone or iPad in your car – you know, for those days when you desperately needed to mount and charge your iPhone or iPad in your car, and I’m guessing it’s for that drive from Kowloon to Hong Kong island. 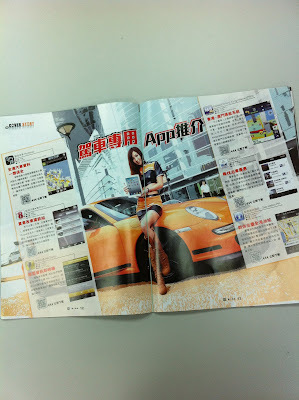 Then, she appeared in the centrefold to let us know the various apps she could use in Hong Kong to (going clockwise): navigate in Hong Kong or Macau, find a parking lot, locate the nearest gas station, check out traffic conditions, sell her car, and find the nearest servicing center. I was also quite amazed how versatile the iPhone could be. IK Multimedia has managed to develop a system where you could plug in a microphone into the audio jack and karaoke to the tune that is playing on the iPhone! The game-changer in this app-accessory package, called the iRig Mic, has to be in its ability to recognise the song on your iTunes and display the correct lyrics with the prompter. The package requires users to download the iRig Recorder app or AmpliTube. 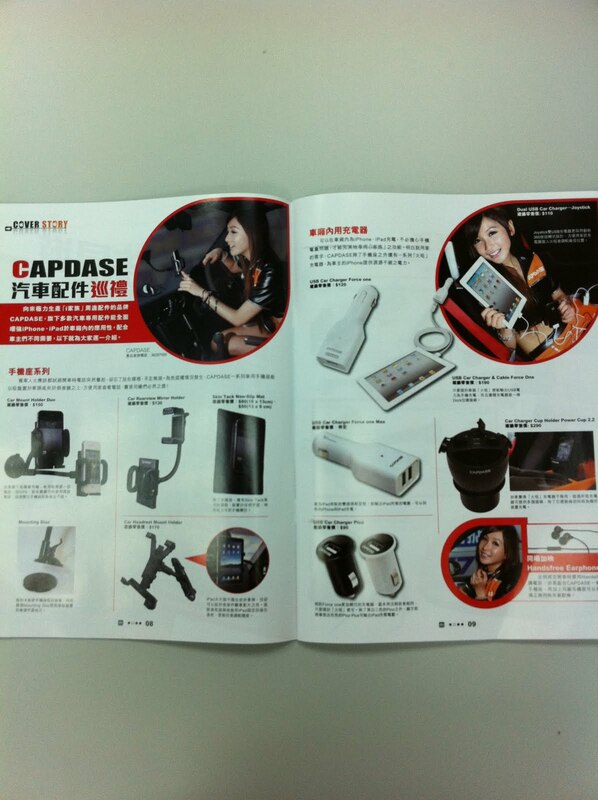 It is selling for HKD$599. Their website is over here. 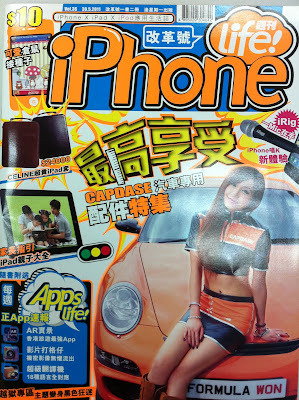 I myself dont like iPhone magazines. I prefer to read magazines on iPad. Magazines on iPad look stunning and you can also enjoy videos, and audio in it.